Gift Certificates are available for purchase online 24/7 via the Gift Card Cafe! Click the card above to see gift certificate options for private and group lessons. Certificates purchased online may be emailed to your recipient or printed, your choice. 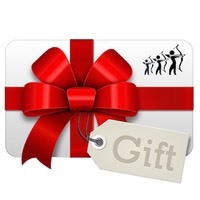 Gift certificate recipients should call Lifetime Archery at 919-977-6299 to schedule their gift session.